The Art and Science of Sound Recording awaits you! WATCH SESSION FILES IN ACTION! 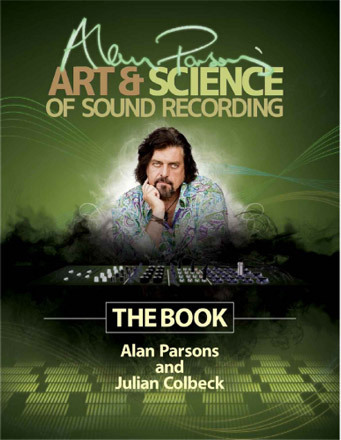 More than simply the book of the award-winning DVD set, Art & Science of Sound Recording, the Book takes legendary engineer, producer, and artist Alan Parsons' approaches to sound recording to the next level. In book form, Parsons has the space to include more technical background information, more detailed diagrams, plus a complete set of course notes on each of the 24 topics, from "The Brief History of Recording" to the now-classic "Dealing with Disasters." Written with the DVD's coproducer, musician, and author Julian Colbeck, ASSR, the Book offers readers a classic "big picture" view of modern recording technology in conjunction with an almost encyclopedic list of specific techniques, processes, and equipment. Enjoy a FREE preview of each video section from the complete series. Purchase options are given with each preview. Studio Acoustics looks at the principles and processes of how sound works in an enclosed space. A large part of being able to conduct a good recording is knowing how to listen. This section opens with Alan shouting at the mountains alongside his Santa Barbara home. There are generations of guitarists whose careers would have been very different had it not for the delay effect. Probably the most crucial – and complex – part of modern recording. Few people doubt that the internet represents ‘a’ if not ‘the’ solution as to how we will conduct recordings in the future. The production descends upon legendary British session drummer Simon Phillips (ex. also of The Who, Toto…) in his Los Angeles studio. Every school, college, and church has a choir that would like to be recorded for posterity. A 'bad day' in the studio can sometimes turn into a complete crisis. “Master of Gothic Blues” Tim Scott McConnell, aka Ledfoot, expounds at Blackbird Studios. Kung Fu Fighting man Richard Dodd dispenses wisdom from on high. Self-effacing troubadour and raconteur regales Alan at Nashville’s Sound Kitchen. Abbey Road orchestral recording engineer maestro shows and tells. The definition-defying singer and songstress talks shop with Alan at a tour rehearsal. A brief History Of Recording traces recording technology right back to Edison and the wax cylinder. 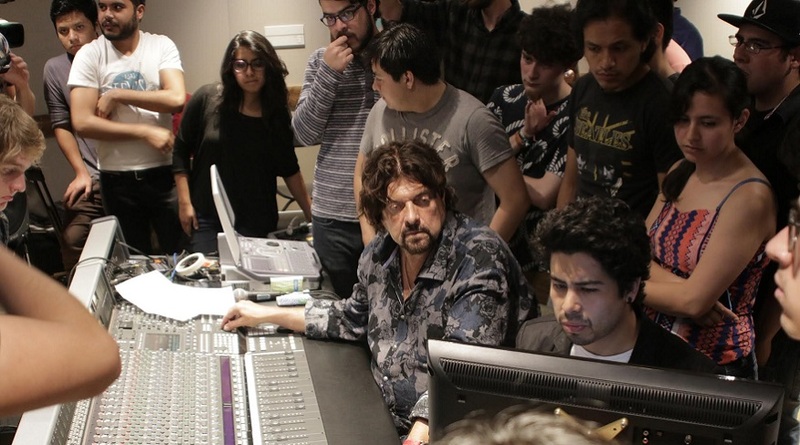 Alan Parsons visits the GRAMMY Museum in Los Angeles, touring the exhibits to map the development of recording during the nineteenth century with such figures as Thomas Edison, Emile Berliner, and Valdemar Poulsen, through to analog tape and early digital media in the twentieth century, to the advent of internet recording. Studio Acoustics looks at the principles and processes of how sound works in an enclosed space. As acoustician Gavin Haverstick observes, "Sound used to be perfect. Then man invented rooms." Monitoring is hearing, or listening. Recording and playback devices were developed at the same time and the relationship between a microphone and a loudspeaker remains inextricably linked to this day, as anyone who has ever used the speaker in a pair of headphones as an emergency microphone will testify. A large part of being able to conduct a good recording is knowing how to listen. This section not only provides fact-based answers as to EQ frequencies and the various ways they can be adjusted, it also gives you tools that you can use to train yourself how to ‘hear’ more analytically. Noise gates were initially created in order to cure the problem that their name suggests, i.e. to gate out (or get rid of) undesirable noise on a recording. The need for noise gates arose from the build up of tape noise that was the result of more and more ‘tracks’ becoming available on various forms of analog tape systems. Recording Vocals is definitely the most crucial – and can be the most complex – part of modern recording. This section looks at and talks with singers both experienced and inexperienced and vocal techniques from both singer’s and engineer’s perspectives. Priceless information here from Michael McDonald, Erykah Badu, and a raft of producers, engineers, and vocal coaches. Studio techniques such as vocal comping are looked at in detail. Few people doubt that the internet represents ‘a’ if not ‘the’ solution as to how we will conduct recordings in the future. Question is, right now, exactly how? We look at one of the currently available systems on a vocal session. It’s 9AM for Alan in California while the singer, working from his own studio Michigan, is ready for lunch. That’s just one of the issues. Simon Phillips provides one of the most comprehensive looks at the art and science of recording drums ever undertaken. From tuning, to acoustics, to mic usage, to recording approaches, Simon and Alan provide the tools to getting a great drum sound – one of the consistently most elusive aspects of modern recording. Drummer of The Foo Fighters, Taylor Hawkins is also interviewed. Bass may not be the most complex instrument to record but its role in rock, pop, and hip-hop is absolutely crucial. Alan discusses bass recording techniques with Nathan East during a live tracking session for a new Alan Parsons track, All Our Yesterdays and also meets one of his long-time bass heroes, Carol Kaye, who contributed to many groundbreaking records with Phil Spector, Quincy Jones, The Beach Boys and others in the sixties and seventies. Guitar recording has developed considerably since Alan first helped to record guitar heroes such as George Harrison, Jeff Beck and David Gilmour back in the 1970s. Alan visits top LA session man Tim Pierce at his own studio in L.A’s San Fernando Valley and looks at parts, sounds, effects and approaches in this fascinating look at how guitar and guitar processing has evolved over the past twenty or thirty years. A common recording conundrum is tackled in this section. How do you record both, simultaneously, without one bleeding into the other? A range of physical and technical solutions are provided. The Alan Parsons Live Project at The Grove Theatre in Anaheim, California, filmed early in 2009, provides a colorful backdrop for this brief but informative section on the challenges posed by live recording in a concert setting. A 'bad day' in the studio can sometimes turn into a complete crisis. The final section looks at ways to avoid getting into – as well as climbing back out from – disastrous recording situations. 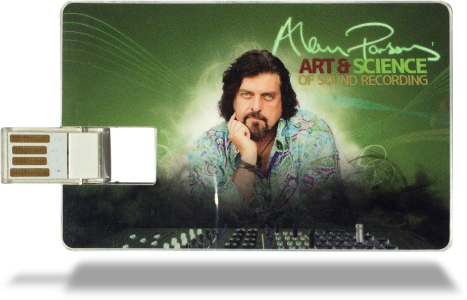 Add Multi-Platinum experience to your Audio, Recording and Music Production courses with Alan Parsons on your team! 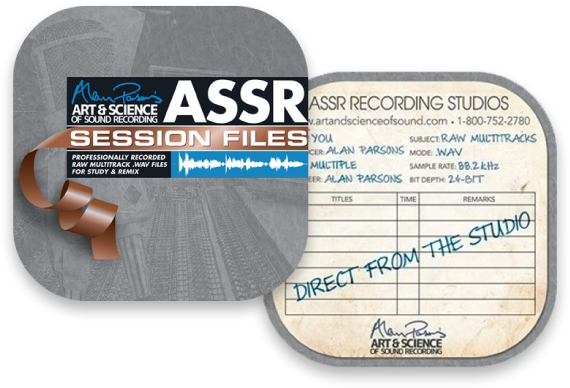 The ASSR Educational License installs the complete Alan Parsons' Art & Science Of Sound Recording video series as a stand-alone app on individual workstations in your lab, making this award-winning body of work available to all your students in a fast and accessible format. The Educational License is the cornerstone of the recently announced Music Production Curriculum—a complete and integrated educational package comprising 24 full-length Lessons Plans based on this video series and Session Files. Master Class Training Sessions are held in recording studios around the world and currently comprise one or two day sessions at one of three Levels.